To help us ensure the right sized impression trays are sent to you, please provide us with your mouth measurement. It does not have to be exact as there should be some extra room. Measure from left to right the widest part of the mouth (from the outside of the teeth). 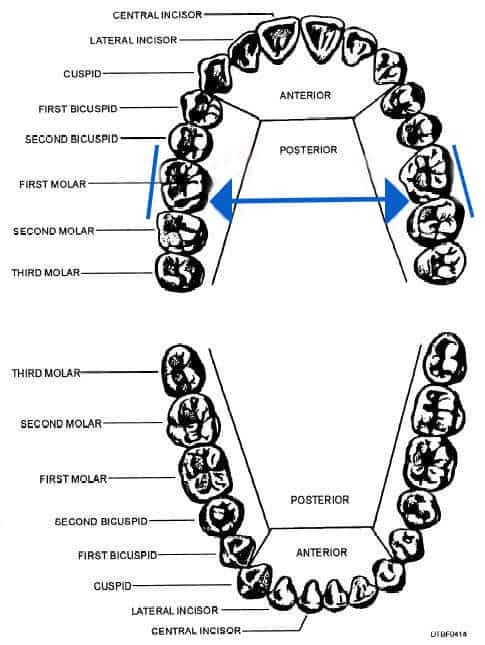 This is most easily done from the posterior teeth (your first molar tooth). When you have measured this, please place the measurement on an email and send to info@dentallab.co.uk so the information is available to us when sending your impression kit, or use the contact form below. We have found the easiest way of measuring your mouth is with a length of dental floss, Measure that against a ruler, your measurement should be roughly between 5cm and 7cm.